Music engulfs our lives. We listen in the car, at work, and while we exercise. Here in Hawaii, it’s a traditional form of storytelling and critical piece of culture. The right song can instantly improve our mood or inspire us. The same is true of your party soundtrack. And It’s why we take such pride in our DJ services. 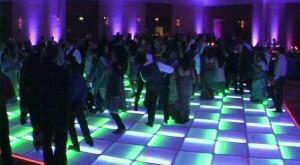 We’re not only dedicated to making your event environment amazing with things like an LED dance floor and specialty lighting, we know the perfect soundtrack makes the experience complete. We’ll sit down with you to plan the perfect playlist well in advance. You’ll get access to over 50,000 songs in our library and anything else you can think of. Don’t worry, we’ll help you with some personalized suggestions, too! Together, we will make the perfect soundtrack, and make your party the event of the year!